The interest for printed materials is fixed to various elements needing to do with general financial movement. The business is searching for future minded experts ready and ready to adjust to specialized changes. 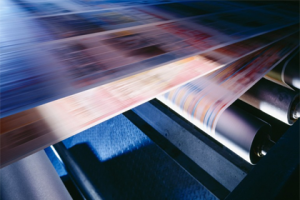 The printing business prints items going from magazines, daily papers, books, postcards, reminder cushions, bookmarks, pamphlets, checks, maps, business request structures, T-shirts, and bundling. The business additionally comprises of foundations that give related administrations to printers, for example, embellishing, tying, completing, and prepress administrations. We, at Candor, provides manpower for the areas in this industry. Our experts are always keeping pace with changing innovation and applying it to customer point of interest. We can likewise give creative and adaptable position game plans to meet your requirements, and professional and skilled person for you on held task or possibility premise. Our capacity to offer a complete enlistment arrangement is established on our pro industry information together with a devotion to supplying experts with the fundamental aptitudes to see a venture from origin through to conveyance and past.